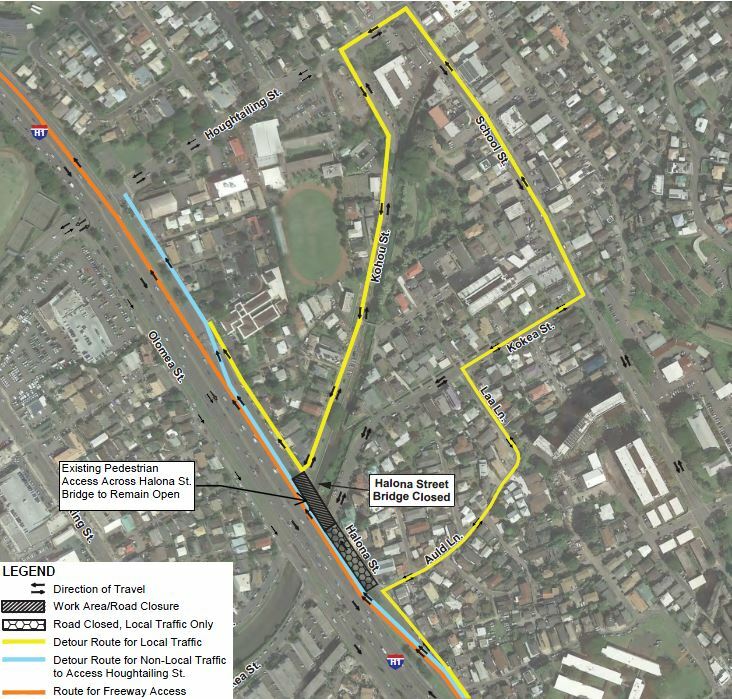 HONOLULU – The Hawaii Department of Transportation (HDOT) alerts the public that the Halona Street Bridge will be closed to vehicular traffic 24 hours a day beginning Friday, Jan. 20. 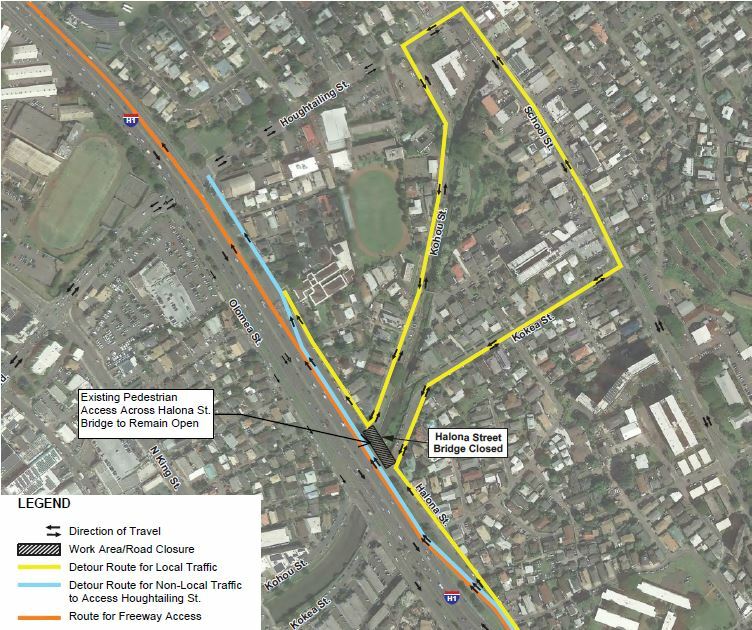 The bridge is located on Halona Street between Kokea Street and Kohou Street in Kalihi. 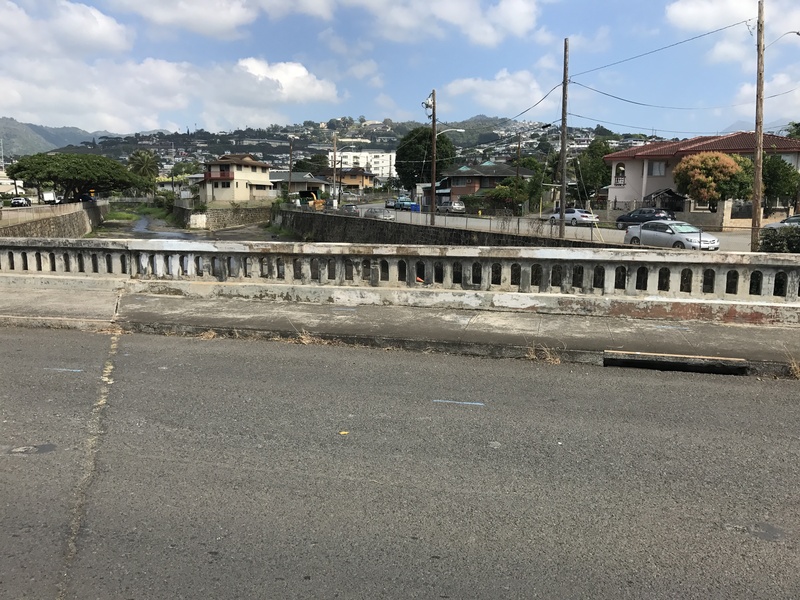 A 24/7 closure of the Halona Street Bridge is necessary for the $7.2 million project as crews will be doing a replacement of the bridge. Replacing the structure will improve the bridge’s safety and reliability. Construction is slated to last until Fall 2017. The bridge will remain open for pedestrians and bicyclists. Motorists wanting to access Houghtailing Street may use the westbound H-1 Freeway Houghtailing Street Off-Ramp (Exit 20B) or North School Street. Motorists wanting to access Kohou Street will be detoured onto North School Street via Kokea Street and onto Houghtailing Street. Beginning Monday, Jan. 23, a separate traffic control plan will be implemented during the day hours of 8:30 a.m. to 3:30 p.m., Monday through Friday. Kokea Street will be closed between Halona Street and Laa Lane. Local access on Kokea Street will be maintained via Auld Lane and Laa Lane. After 3:30 p.m. Monday through Friday and on weekends, the Halona Street and Kokea Street intersection will reopen for motorists. See two detour maps below. Motorists are advised to expect delays, exercise caution when driving in the area, and follow all construction traffic controls. HDOT thanks the community for their patience and understanding as we work to update our bridge facilities.